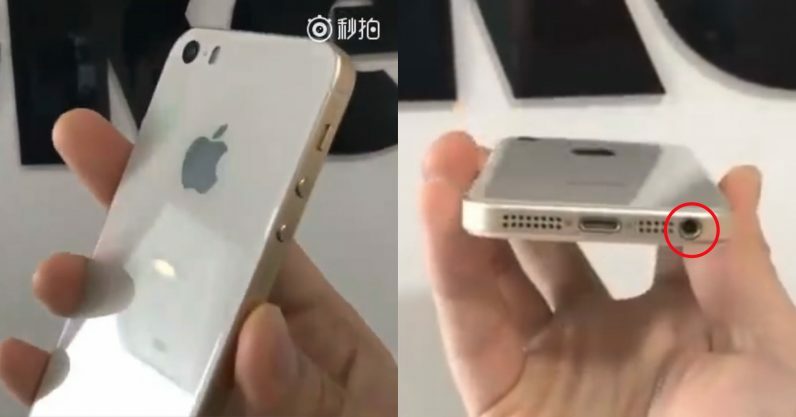 Rumors have been making the rounds suggesting Apple is releasing an updated version of its iPhone SE, and now we may have gotten our first good look at the device thanks to a video posted on Weibo. Emphasis on the may, as at least one detail is hard to believe: this alleged iPhone SE 2 has a headphone jack. It also has a glass back indicating a move to wireless charging, but there’s little backing up the source’s veracity. I mean, the blurrycam video looks convincing enough, but iPhone mockups aren’t exactly uncommon, and we never see the device turned on. Still it could be a mockup from official specifications, as we saw with the iPhone X.
It’s also up in the air whether the device will even come to fruition. It’s rumored to launch as early as May or June, according to at least MacOtakara and DigiTimes, but reliable analyst Ming Chi Kuo has his doubts about whether the iPhone SE 2 exists at all – especially since Apple is expected to release a $550 iPhone later this year. Then again, the SE 2 would be even cheaper, as it’s expected to sell for around $349, using 2016’s A10 Fusion chip. All that being said, I find it hard to believe Apple would retain the headphone jack in a theoretical iPhone SE 2. This is a company that tends to sacrifice practicality in the name of design and its idea of innovation. Maybe Apple realizes that people who buy its cheapest phone may not be able to afford Bluetooth headphones, or maybe it’d help them save costs by retaining similarities to the previous generation’s form factor, but it still strikes me as odd. Either way, May is around the corner, so it might not be much longer until we find out. For now, take this leak with a very fine grain of salt.